A slim dabbling duck identified by the male's long, tapering tail feathers, this species flies rapidly, its wings making a swishing sound. 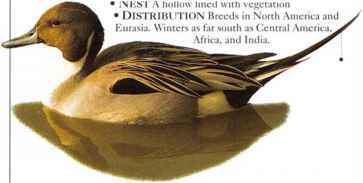 Occurring mainly in pairs and small parties on open, shallow waters, the Pintail avoids reedbeds and tall marsh plants. It rests on the water by day and feeds at night. 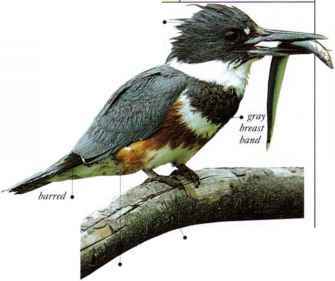 The usual feeding method is to up-end in the water and reach down for roots, seeds, anil tubers, but birds also go ashore to graze, or dabble in surface waters for seeds and small animals. Northern Pintails usually migrate to the coast in winter.